« Is NYPD The Best Pizza In Orlando? In The Heart Of Old Downtown Kissimmee, This Place Is A Great Find! 18,000 square feet crammed packed FILLED from floor to ceiling with antiques, collectibles, design ideas and everything in between–welcome to Lanier’s Historic Downtown Marketplace located on Broadway in the heart of old town Kissimmee. For the lucky readers of my blog seeking “more than a mouse”™ and an off-the-beaten-path adventure, you’re in for a real treat. 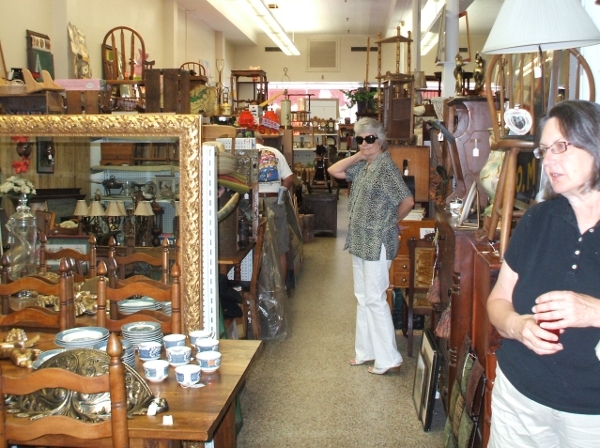 Lanier’s is not simply an antique store. It is an oasis of southern hospitality. (you might be invited to have a coffee or lemonade by the store owners.) It’s a maze of amazing design ideas. It’s packed with a prestigious cornucopia of creativity. In short, it’s a shopper’s dream and an historian’s treasure! Jeremy had no idea who the LanceAround family is or that they would converge upon him on a hot, sunny Saturday afternoon. 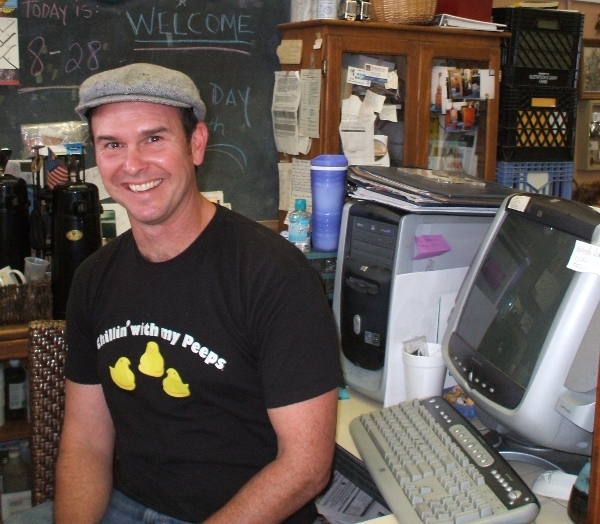 His warm smile, sincere greeting and offer of coffee made one instantly like him. He is the manager and member of the original Lanier family. We explained that we were looking for some items resembling Hogwarts for a Harry Potter bedroom we were creating in one of our vacation rental homes. Sitting next to Jeremy was Myles Edwards, a professional designer who, Jeremy says, makes Lanier’s shop windows rival Bloomingdale’s every Christmas. They put their heads together and soon Jeremy was whisking us around his store finding troves of Potter-esque items. There was so much to see even someone who dislikes shopping as much as I do found tons of amusing items that captured my attention and imagination. We spent over $100 on various items, not only for our vacation rental home but also for Number One Daughter who discovered a four player chess set she just had to have. 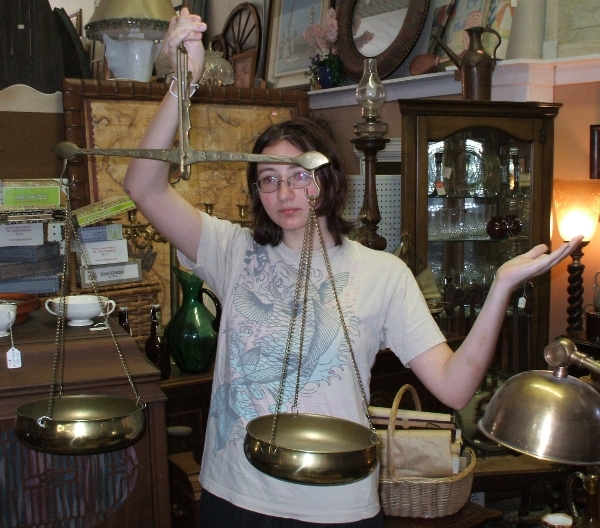 Meanwhile, Number One Son was still debating on which of the multitude of ancient chests and antique desks he found would work best in the Harry Potter room. Mrs. LanceAround and I smiled as we enjoyed watching how much our children enjoyed this one-of-a-kind place. It was like we had discovered our very own hidden treasure–and now you can too! This entry was posted on September 8, 2010 at 10:52 am and is filed under Off-the-Beaten-Path. You can follow any responses to this entry through the RSS 2.0 feed. You can leave a response, or trackback from your own site.